Lets recap the last two weeks of NBA Free Agency, shall we? Wait, what just happened? If you have been keeping up at home, DeAndre Jordan, formerly of the Los Angeles Clippers and unofficially of the Dallas Mavericks, is a Clipper again. It was a crazy sequence in a night of NBA free agency action, especially if you get the notifications on your smartphone. The decision, unprofessionally made by Jordan, is just a bad look for DeAndre Jordan and his brand, although it was fully in his right to do. DeAndre would have been receiving his money no matter what team he picked between the two so money probably wasn’t a factor in the large scheme of things. Many believe Cuban’s team is in a slow but sure rebuilding stage after winning a title in 2011. In spite of this, the Mavs still won 50 games this past season so maybe “rebuilding” isn’t the right word when you have a guy like Dirk Nowitzki on your roster. And newsflash to DeAndre Jordan: Playing in Dallas might have given you the championship mentoring you desire, as opposed to getting a lecture everyday from a guy that has not won a championship yet. 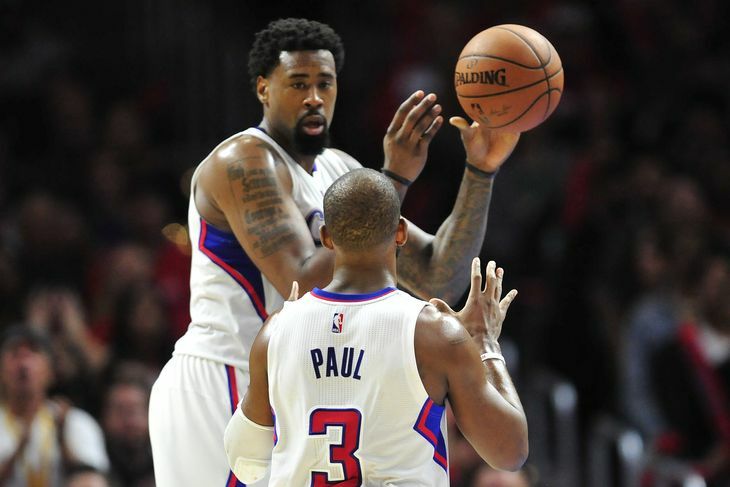 The report also mentioned that “Paul’s view that Jordan lacked the appropriate commitment to working on his free throws, including not working enough with the Clippers shooting coach on that issue” furthered worsened the relationship between the two. Jordan may have been annoyed by CP3 but perhaps he now realizes there was a method to Paul’s “madness”. The Clippers have signed another Paul in future Hall of Famer Paul Pierce, who does have the championship on his resume and hopefully his voice in the locker room will register louder in Jordan’s head. It would have only enhanced the dynamic of the Mavs having Jordan as the center doing what he does well in the middle: swatting shots out into the crowd, grabbing double digit rebounds for his club, and the dirty work that goes unnoticed every night. Jordan is one of the best in the business when it comes to those unnoticed stats and it has to be largely because everyone focuses on his poor free throw shooting. Cuban was certainly aware of his presence and had put all his jellybeans in one jar for him to be with his team in 2015-16, completely disregarding Jordan’s shortcomings. Following this story as a basketball fan was bizarre but it’s finally over. The Clippers will be back in contention for several more years to come with Jordan as their center. Hopefully there will be no more rifts, and they can go about their business of winning for their rock star owner. But rest assured when we, as fans, hear the first word of locker room issues within the Clippers organization, we will have an idea where the rift is coming from because it is nothing new. Honestly, though, how mad can Jordan get at Paul when he reaps the scoring benefit of all the lobs he throws him? Few players in the league have Chris Paul’s court awareness, and Jordan most likely wasn’t going to have the same chemistry, well at least not immediately in the start of the season, with the Mavs starting point guard, who we now know will be Deron Williams. On July 11 in an interview during a Mavericks summer league game, Cuban was asked about Jordan and said, “Who? I have no idea who you’re talking about. I’m trying to figure out who you’re talking about?” His response, needless to say, made it pretty clear that he is already over Jordan and his brand. It’s a cold business but this episode seems to have finally come to a resolution, even if bad blood will forever exist between the two parties. NBA fans should be in for a real treat when these two teams meet this upcoming season; fireworks are sure to ensue.